Air Alert Review - Why It Doesn't Work and What You Should Do Instead! 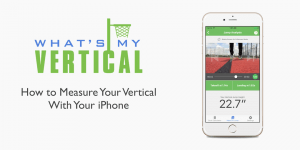 Home / Vertical Jump Knowledge / Air Alert Review – Why It Doesn’t Work and What You Should Do Instead! Air Alert, created in 1991, was synonymous with Vertical Jump Training for a very long time. 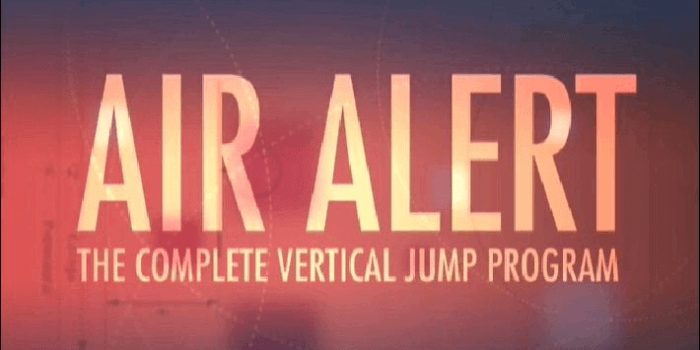 Air Alert was the first jump program guaranteeing to improve your vertical by 8-14 inches in a little over 4 months. Combine great marketing, a very simple program and the fact every basketball player wants to dunk and you have a huge commercial success! But does the program actually work? In this post, I want to explain why you should skip Air Alert in favor of more recent and better training programs like the Jump Manual or the Vert Shock training. The concepts behind Air Alert are hopelessly outdated and while the program may increase the vertical of beginners, there is also great danger of overtraining and injuries. ​Timur Tukel developed Air Alert and coined the term "habitual jump training" - the philosophy behind the vertical jump training program. You just jump a LOT! 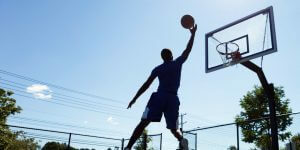 Your body adapts to the high volume of jumping exercises by increasing the vertical jump height. I will later explain why this logic is deeply flawed! There are 6 different exercises in Air Alert. The exercises are all bodyweight exercise, which means you won't need additional weight equipment to do them. 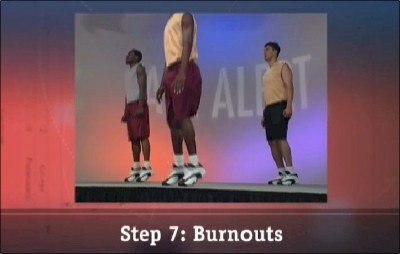 The Air Alert workouts use a 90's infomercial-style video in which they are explained in great detail. Leap Ups start at a 1/4 squat position. From this position you jump at least 10-12 inches without using your arms for momentum. Repeat jumps without interruption until the completion of a set. Calf raises are done easiest by standing with the ball of the foot on a stair and grabbing the rails for better stability. Lower the heel below the surface of the stair step and then raise your foot as high as possible. You should feel a burn in the calves after a certain number of repetitions. For this exercise, you need a stable chair, stool or box. 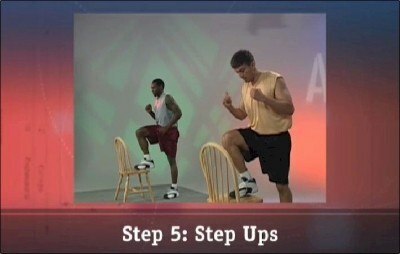 You begin the Step Ups by placing one foot on the chair so your upper leg is parallel to the floor. Use this foot to jump as high as possible. While you are in the air switch legs and repeat the exercise with the opposite leg. This exercise is similar to the leap up. Instead of jumping from a 1/4 squat, you bend your legs less and use your calves and arms to jump with as little ground contact time as possible. Keep your legs completely straight, hands to your side and use only your calves for jumps in the range of 2-3 inches. Your heels should never touch the ground. Squat Hops start in a full squat position with your thighs parallel to the ground. Grab a basketball to help with your balance and jump as high as possible. After landing, move back to the squat position and repeat. Here is where the philosophy of "habitual jump training" comes into play. You start week 1 with a total of 270 jumps per workout day. These repetitions are distributed among all exercises, so on the first day, you will do four sets of 15 squat hops and one set of 100 burnouts, etc. There are usually 3 workout days per week. During the 15 weeks of Air Alert, you slowly increase the volume of your workouts so, by week 15, you will do 2600 jumps per workout (i.e. 5x 300 burn out’s). This training volume is insane compared to more modern vertical jump training programs! There is a good reason why modern training programs feature fewer repetitions (you will not exceed 150 jumps in the last week of Vert Shock). To increase your vertical jump, you should work on strength and quickness. Let's see how Air Alert tackles these two factors. To improve your quickness, you want to do fast, high-intensity exercises. Thrust ups, which are part of Air Alert, are generally a great exercise for this. The problem - if you do 100 reps in a set, there is no way you are doing them explosively and with maximum intensity. As soon as you tire, you start to perform the exercises appreciably under 100% intensity. If that's the case, you are building endurance instead of quickness. 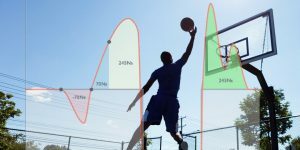 You become very good at jumping low for a long period of time, but you don't necessarily increase your maximum vertical jump. To increase strength, you want to perform exercises under a heavy load for sets below 10 repetitions. Air Alert doesn't feature regular weight lifting exercises, but exercises like the Squat Hop can still build strength. However, the same problem we have seen before applies here: performing squat hops for 50 repetitions doesn't train your maximum strength; it builds endurance! So does Air Alert work? 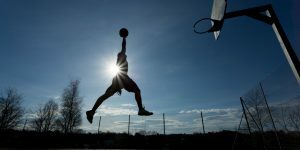 We have shown that the Air Alert workouts are far from perfect for increasing your vertical jump. But, complete beginners will still see some improvements simply because any training is better than no training at all! But, be careful! The extreme training volume can be very hard on ankles and knees and can easily lead to injuries or sore joints due to overtraining. The two most popular and well-know training programs right now are Vert Shock and the Jump Manual. I've had a great experience with Vert Shock myself. 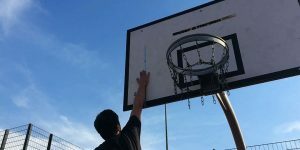 I did the 8-week training program a while ago and improved my vertical to 37" allowing me to dunk easily for the first time, even though I am only 6 ft. tall! 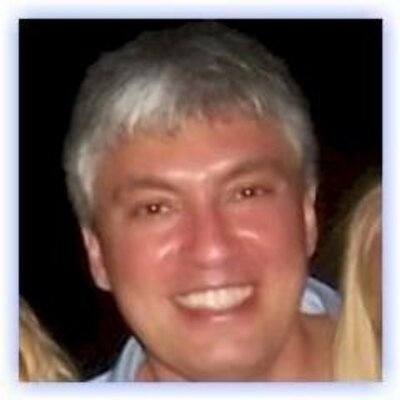 This program is a bit older but has been proven to be successful with thousand of athletes. The Jump Manual is not suitable for beginners as it features advanced weightlifting exercises, which should not be performed by untrained athletes. Far from optimal, but beginners will still see some results as any training is better than no training. Simple workout chart and retro 90's informercial style instruction video. Extremely high volume in the latter weeks of the program makes it hard to finish the program. Habitual jump training is a completely outdated training philosophy which has been proven to be highly inefficient by modern sports science. The program is available for free, however, I still wouldn't recommend Air Alert because of the outdated training philosophy and presentation. For my son when he was 15, he did this program (Air Alert) over several months. Combined with a WW type diet, he lost a total of 77 pounds, gained about 7 inches on his vertical and went from dead last in suicides to the rabbit they couldn’t catch. Now 12 years later, he’s kept the weight off and hasn’t lost his vertical. Your program may also work well but from personal experience, so does Air Alert. That’s quite a transformation! Congrats to your son for the work ethic it takes to lose so much weight. I’m not saying Air Alert won’t increase anyone’s vertical, I’m just saying that there are better options these days. And losing 77lbs should increase your vertical jump just by having less weight fighting gravity.